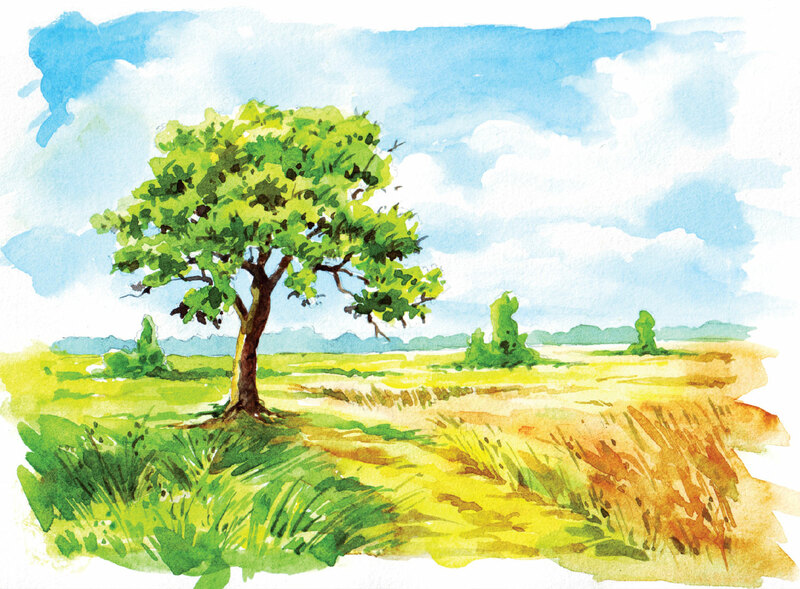 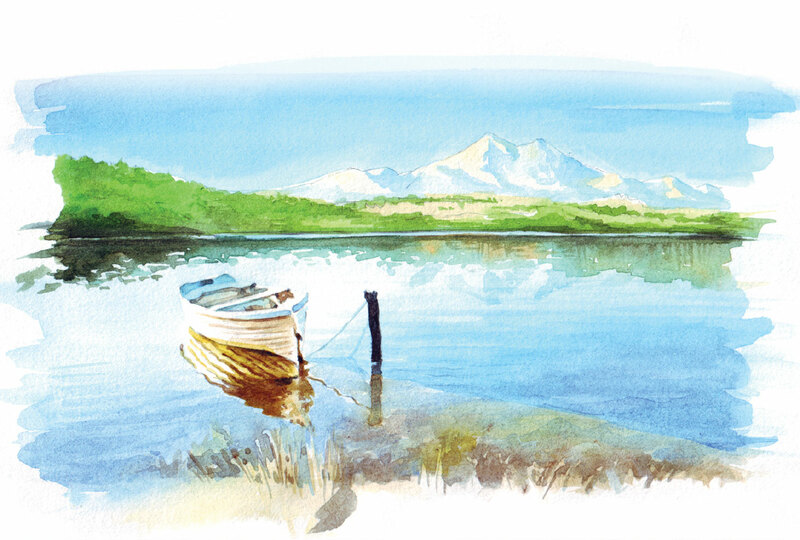 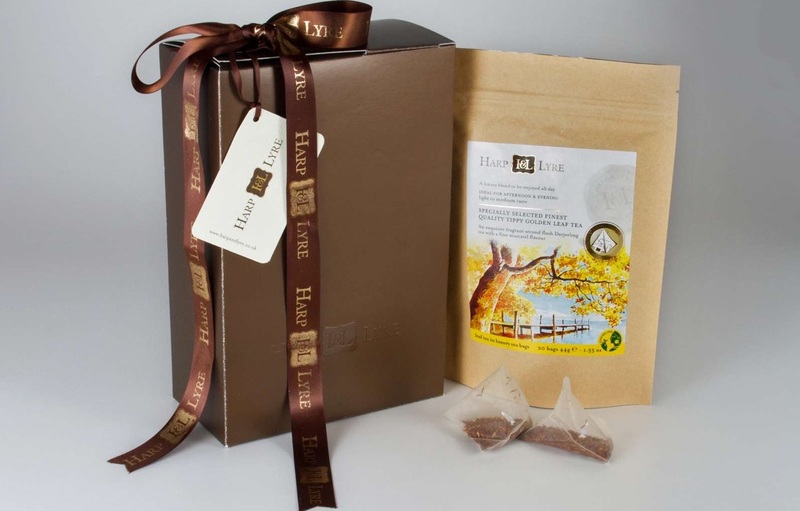 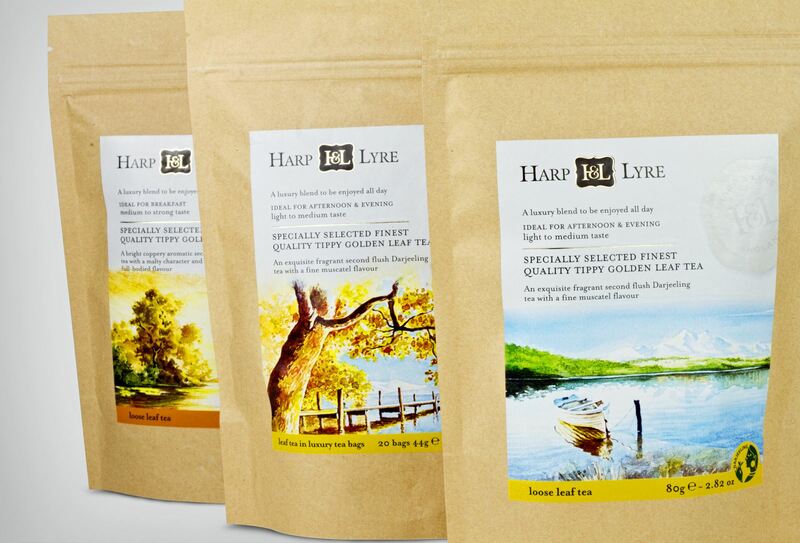 Harp & Lyre is a family-owned company based in the United Kingdom with a tea heritage three generations strong. 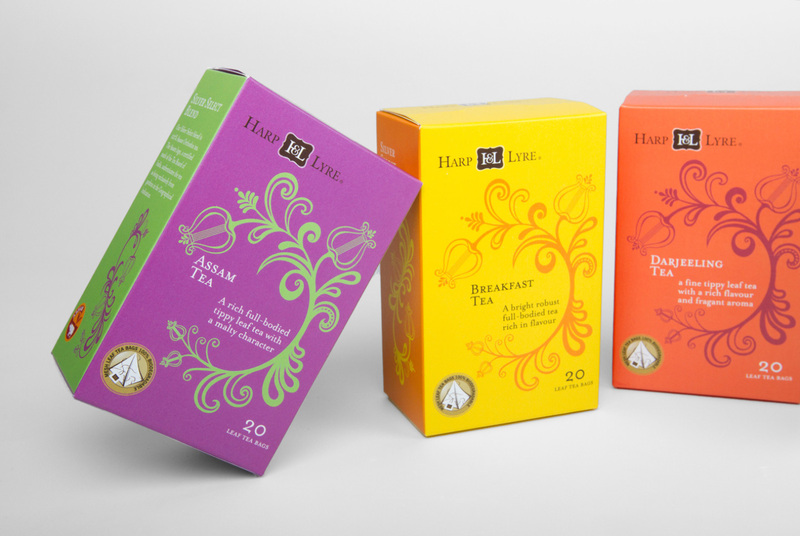 They approached us to design their brand identity as well as retail packaging for their high-quality teas. 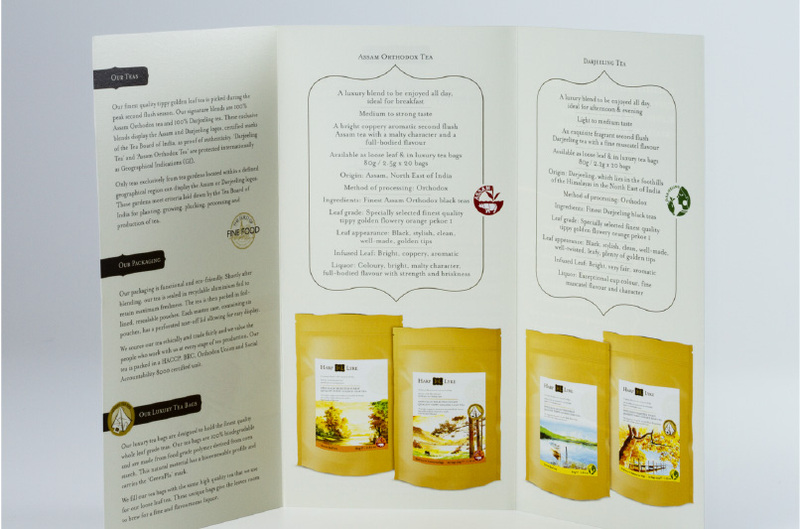 The objective was to create a luxury brand that would reflect the superior quality of their teas and highlight their premium sourcing and selection process. 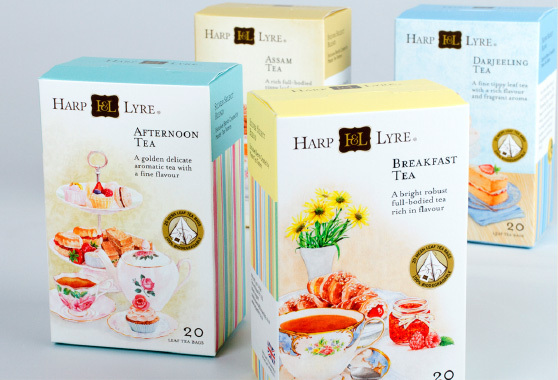 Priced to be affordable across middle and high-income groups, their focus is to give customers a high-quality tea experience at a modest price and thereby, build brand equity. 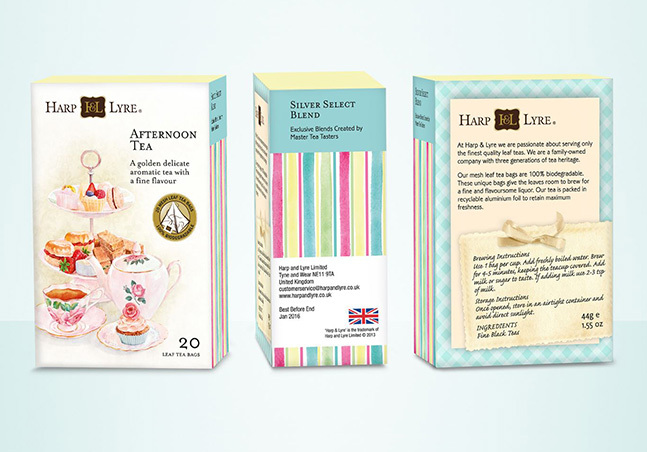 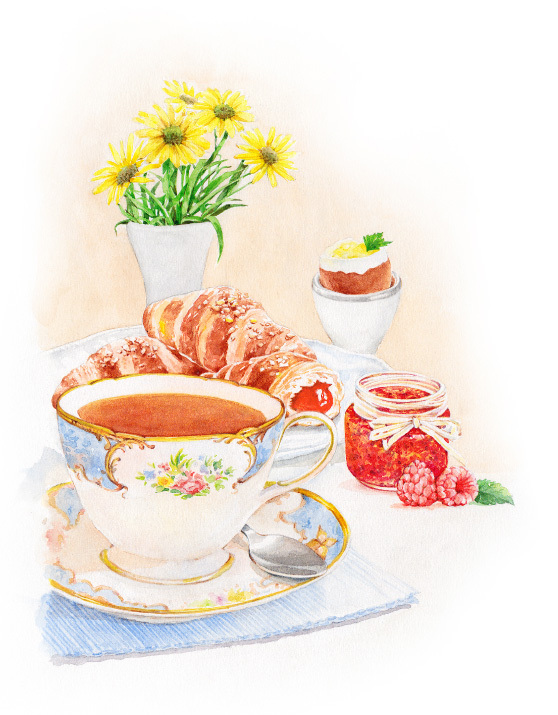 In homage to the old tea-drinking traditions of England, we worked on incorporating the old-world, nostalgic charm of watercolours as a running theme across all the point-of-purchase material and packaging. 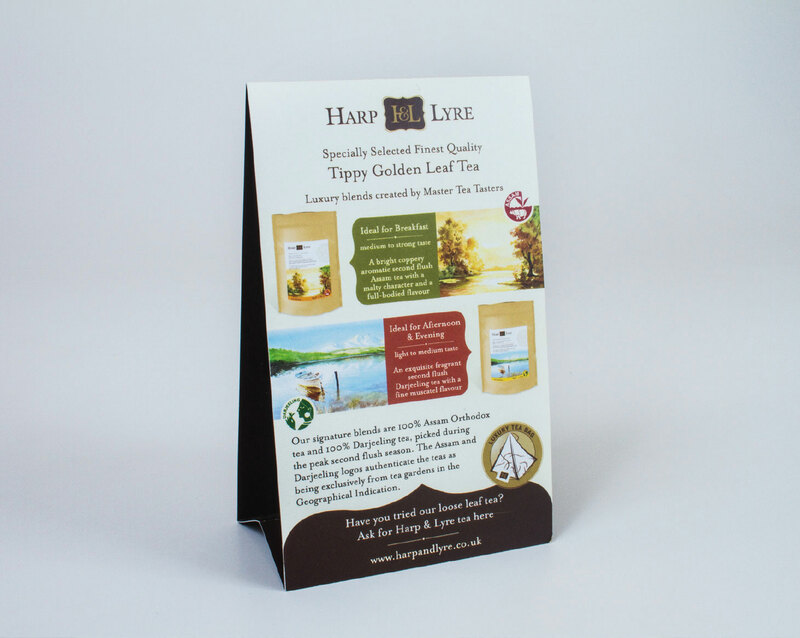 We found an innovative way of handing out samples by inserting two sachets of flavoured tea inside a folded card with a brief description printed above each. 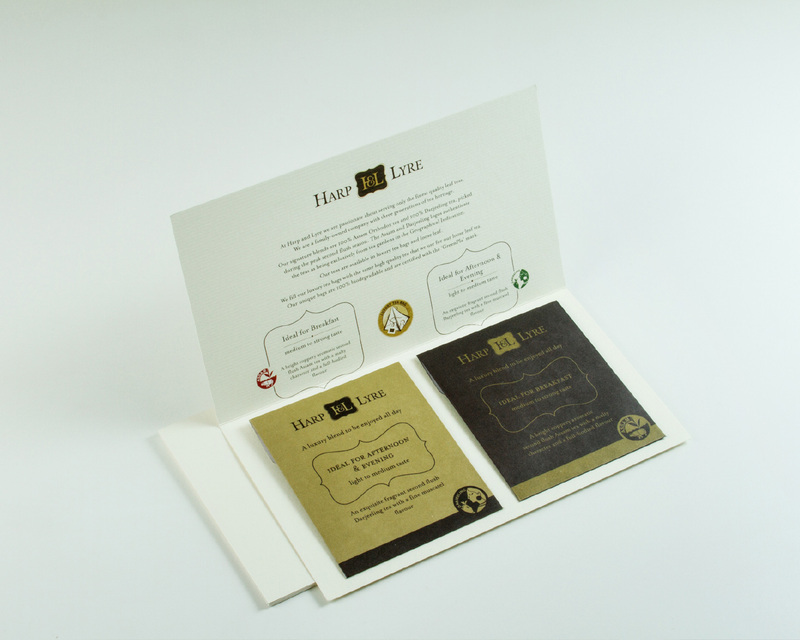 Designed to look like an invitation, the concept was well received. 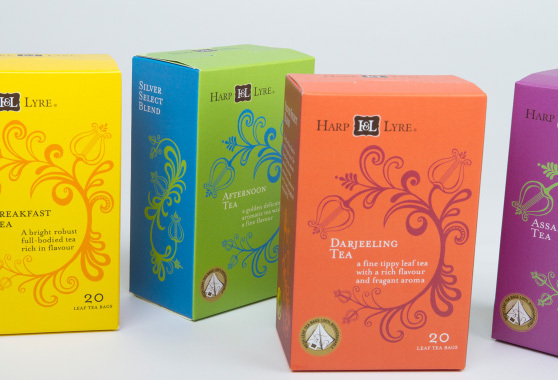 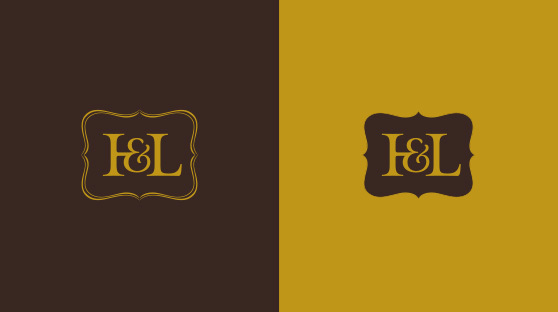 To position themselves as a premium tea company that resonated across different age groups, Harp & Lyre decided on a unique strategy of packing their range of teas in two distinct designs. 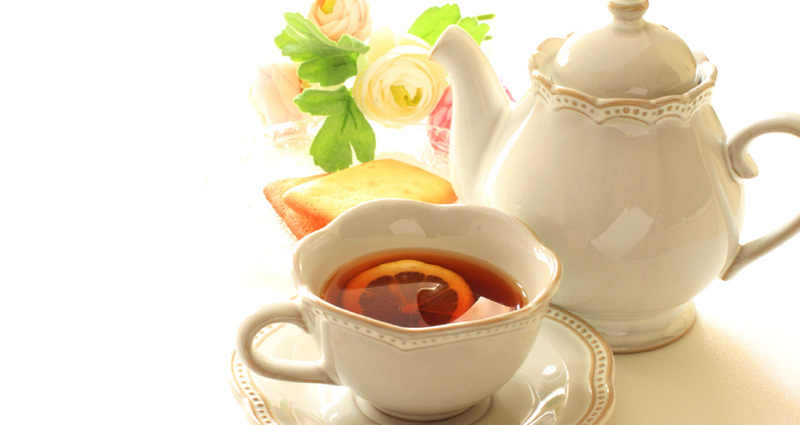 For the older seasoned tea drinkers they preferred a design that exuded sophistication and premium quality, while still conveying a homely sense of familiarity and comfort. 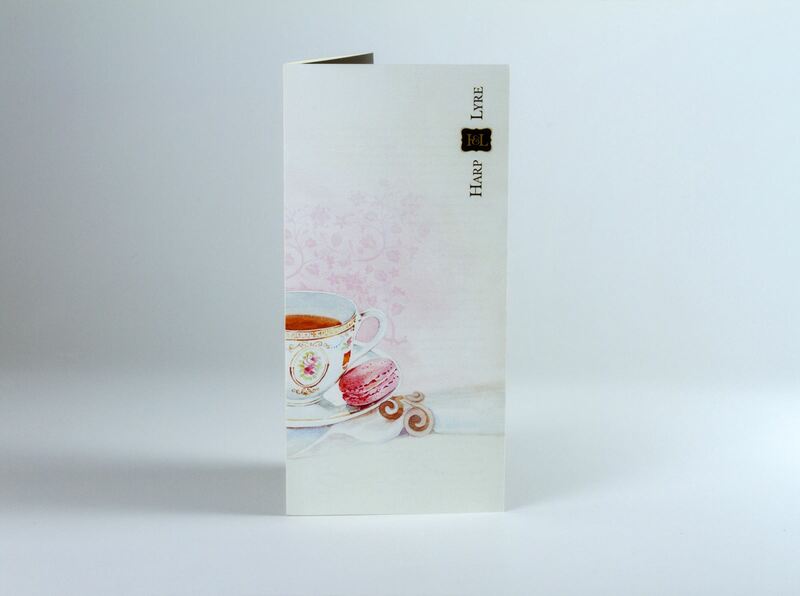 And for the younger more modern demographic tea drinkers, they opted for a contemporary design with undertones of traditional elegance. 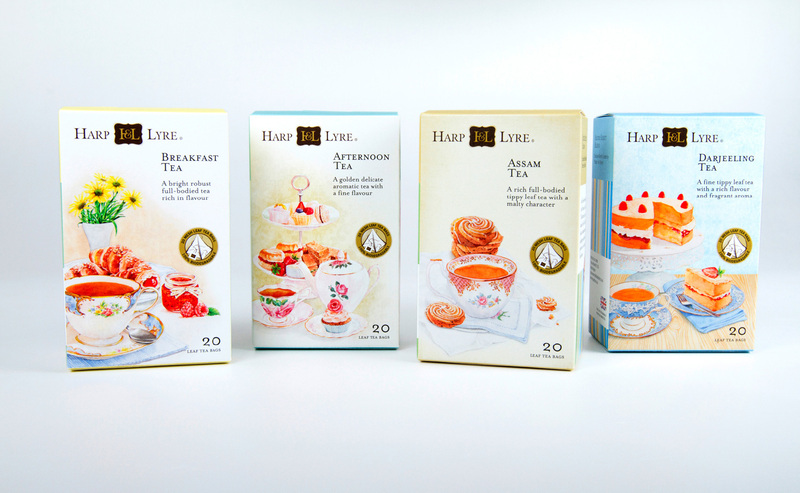 Inspired by the tradition of high tea in the Victorian era and reminiscent of its vintage English ambiance, the packaging is styled to reflect still-life watercolours. 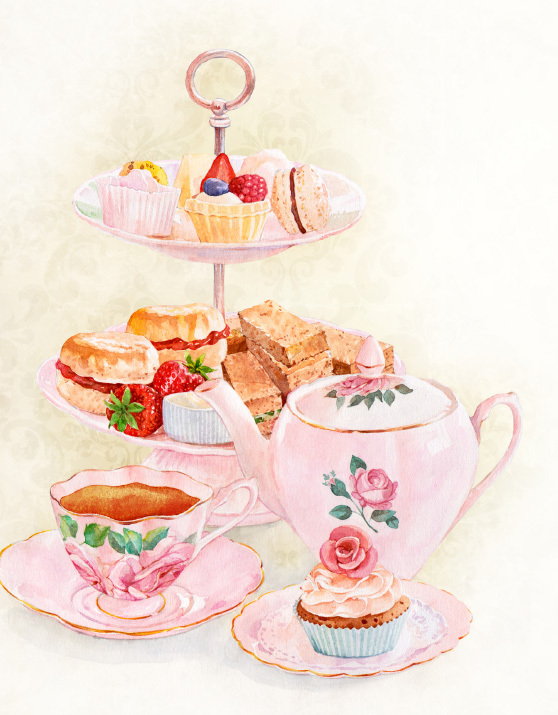 The striking colour palette of the illustrations depicts traditional china and in turn conveys a sense of refined taste. 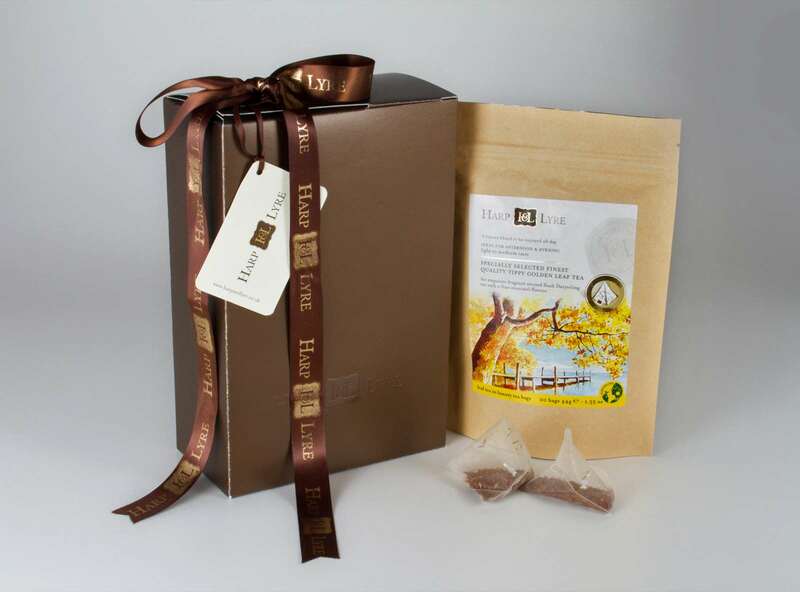 The background design on the reverse of the pack is that of a checkered tablecloth - a reminder of home, all things warm and comfortable. 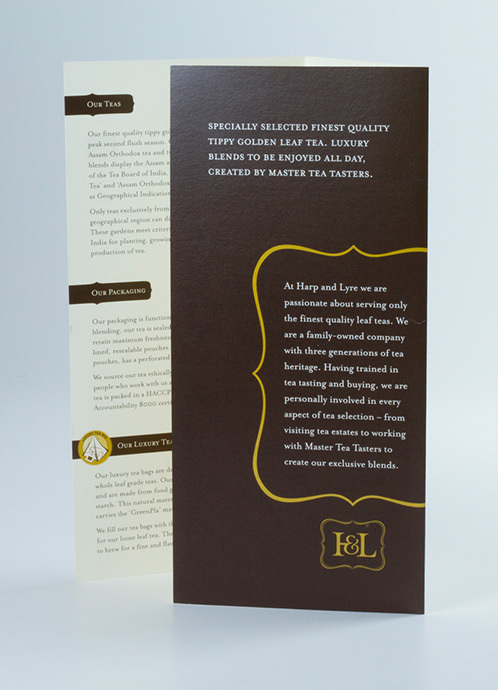 The brewing instructions are elegantly printed in a hand written font, on a gift card, a token from the old days of letters and notes. 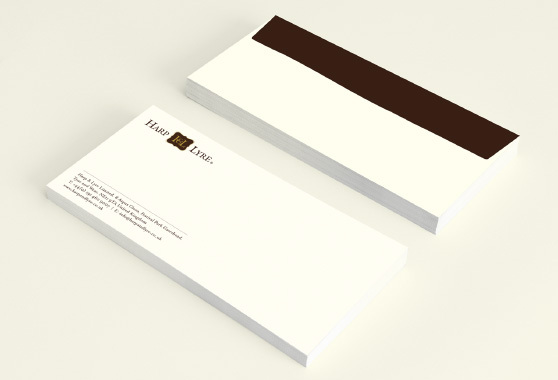 Stripes were used on the sides as a subtle hint of contemporary design to contrast the classic! 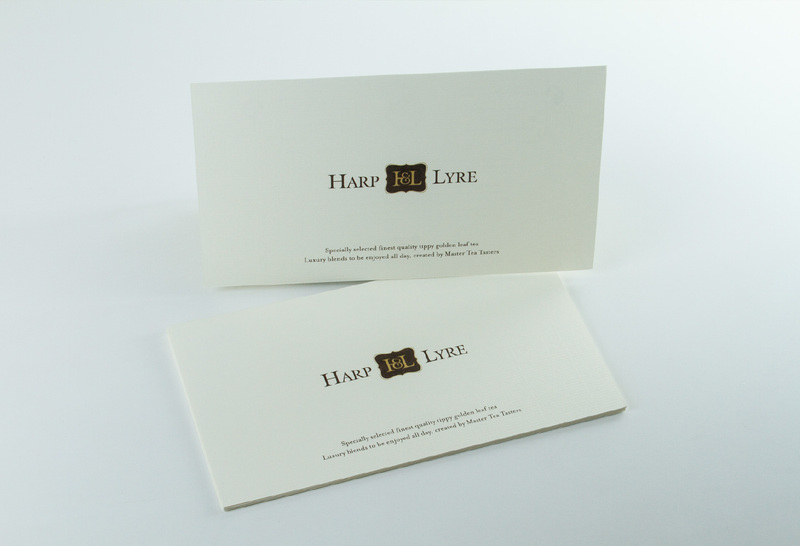 Taking inspiration from the brand name, we created a floral design that incorporates Grecian lyres as a fall back on the name ‘Harp & Lyre’. 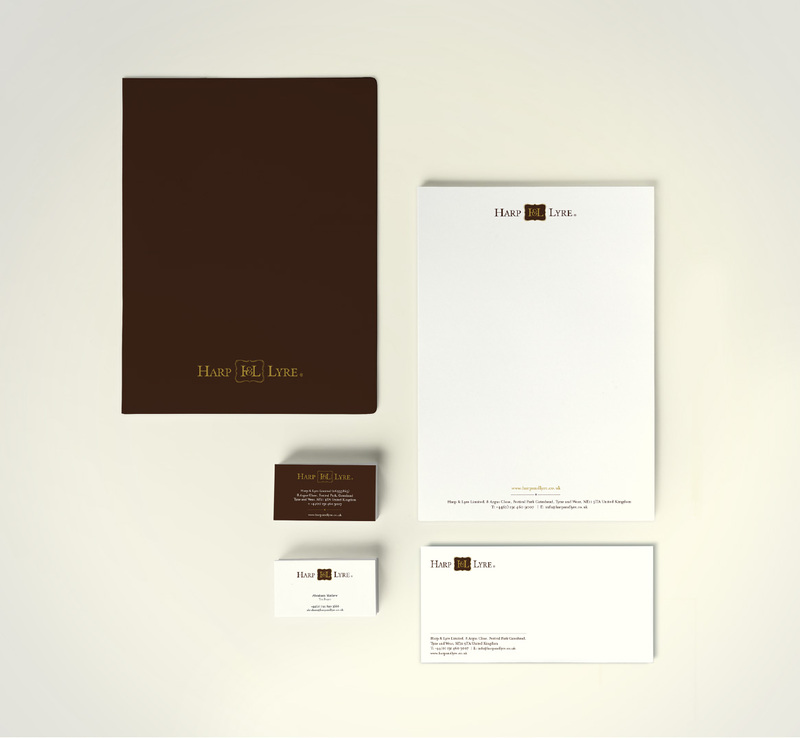 The ancient stringed instrument becomes the flowers on the vine as the design aesthetic takes a bold, contemporary turn. 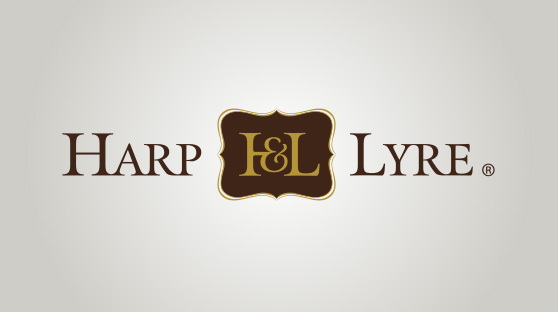 Bright, vibrant colours were used to appeal to the younger, more modern consumer, while the use of the Lyre added a classical touch. 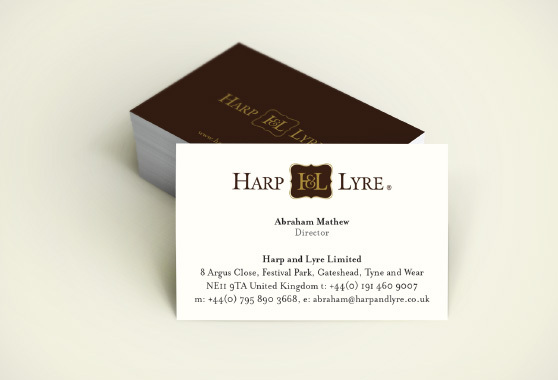 A subtle hint of the classic to contrast the contemporary! 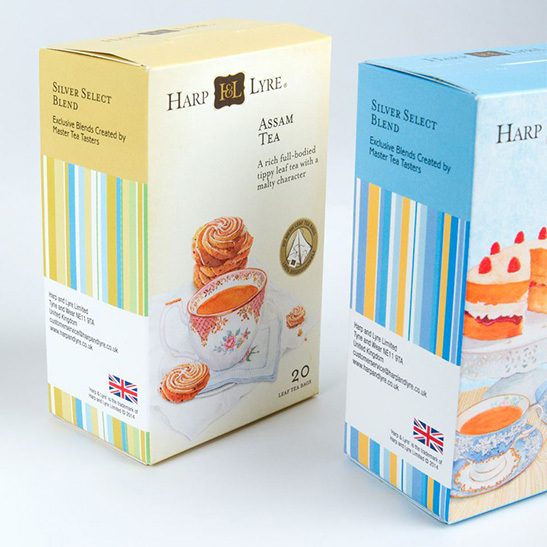 For the first set of test-runs being introduced into the market, economy on packaging was a priority, the use of pouches utilizing brown craft on the outside and flavour-locking silver foil on the inside reduced production costs considerably. 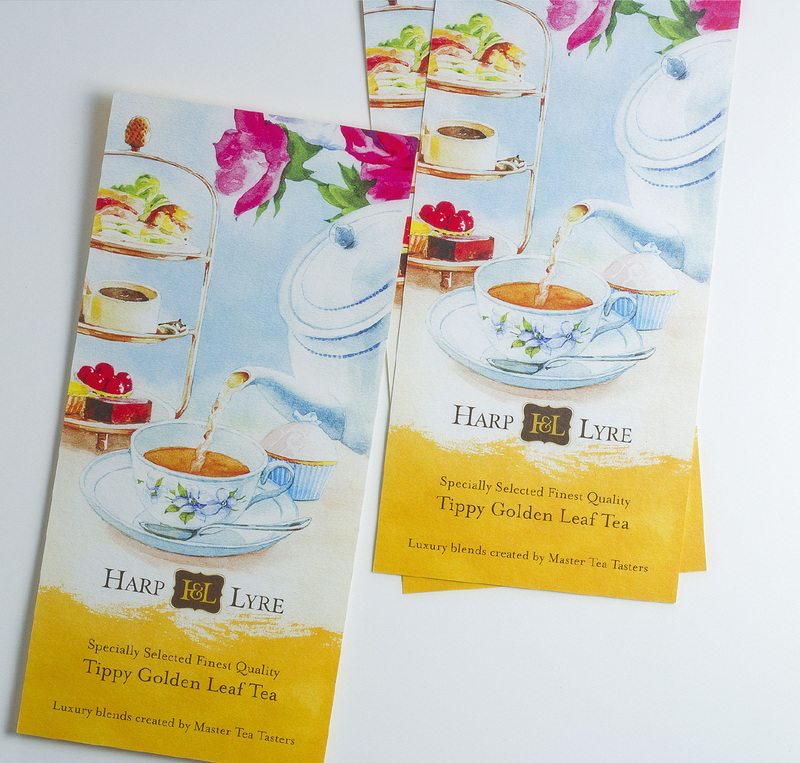 The labels on the pouches featured watercolour depictions of the English countryside, with elements of gold foil for the quintessential mark.